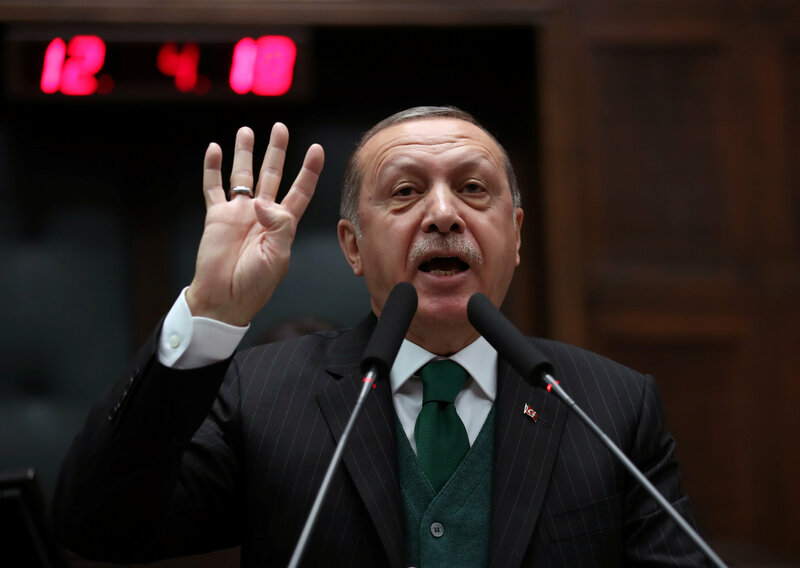 A Turkish gold trader testified Thursday that he was told his scheme to move billions of dollars in Iranian oil profits in violation of U.S. sanctions was approved by Turkish president Recep Tayyip Erdogan. The testimony by Reza Zarrab in federal court in New York marks the first time the U.S. case has implicated Turkey's president, who had railed against the prosecution and lobbied senior U.S. officials to release Zarrab. Zarrab implicated Erdogan in the scheme during his second day on the witness stand at the trial of his accused co-conspirator, Mehmet Hakan Atilla, deputy chief executive of Halkbank, which is majority-owned by the Turkish government. Zarrab has pleaded guilty to orchestrating a multibillion-dollar conspiracy to evade U.S. sanctions against Iran by disguising money transfers so they would appear to be legitimate gold trades. U.S. authorities say bank officials such as Atilla helped conceal the arrangement. On Thursday, prosecutors showed the jury a transcript of a 2012 call in which Zarrab talked about which banks would be used for such transactions. "Mr. Prime Minister and Ali Babacan [the Turkish treasury minister] gave approval,'' Zarrab said, according to the transcript. Zarrab said he was told of the approvals by the then-economy minister, Mehmet Zafer Caglayan. Zarrab testified on Wednesday that he paid about $60 million in bribes to Caglayan to allow the sanctions-busting scheme to proceed. Turkish officials have denied any wrongdoing by Caglayan or others, and the trial has angered that country's leaders. On Thursday, Turkey's deputy prime minister, Bekir Bozdag, described the trial in New York as "theater" and said he did not expect any "justice" from the proceedings, according to the state-run Anadolu news agency. His comments came before Zarrab's testimony implicating Erdogan. Turkish officials have portrayed the case as a plot hatched by followers of Fethullah Gulen, a U.S.-based Turkish imam who is blamed by Erdogan for a failed coup attempt in 2016. Turkish officials have faulted U.S. prosecutors for relying on evidence they say was gathered by Gulen-linked police officers in Turkey. "What justice can we expect from such a court?" Bozdag said Thursday. The goal of the trial, he said, is to "destroy the credibility" of Turkey's government and its president.